Our best-selling hydrosol is excellent for the health, growth & sheen of your hair! Customers have said they can actually see their hair grow in 2 weeks of daily application! It increases skin collagen, plumping and firming the skin. 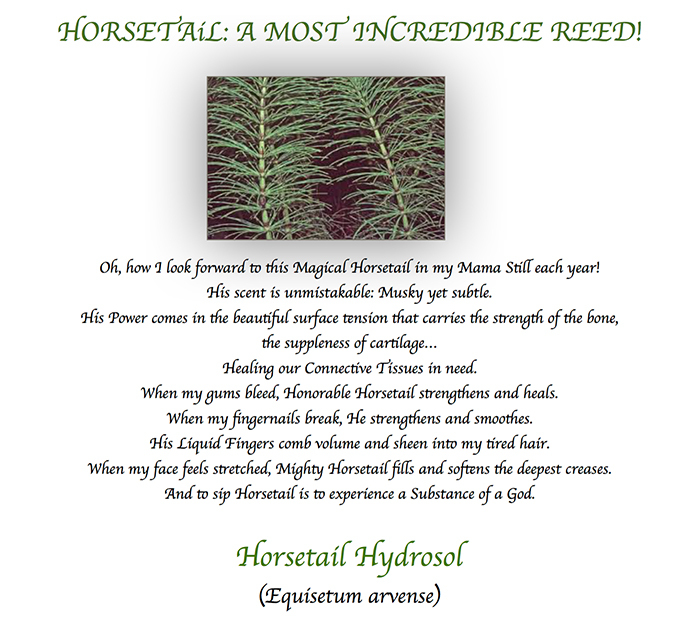 Horsetail hydrosol is excellent to help strengthen fingernails. It helps prevent signs of Osteoporosis. The Calcium and Silica in Horsetail rebuilds tooth enamel and restores weakened bones. Gargle for sore throat or bleeding gums!